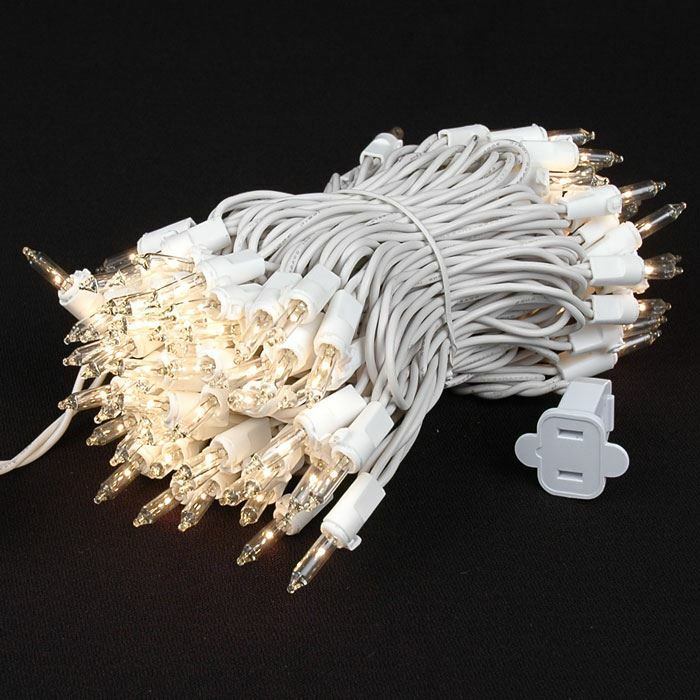 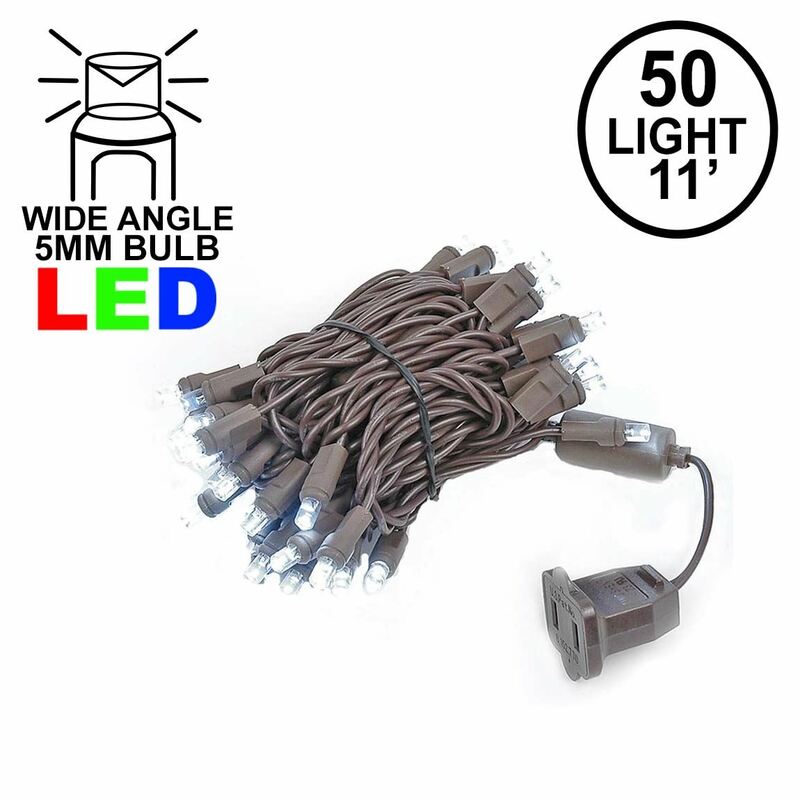 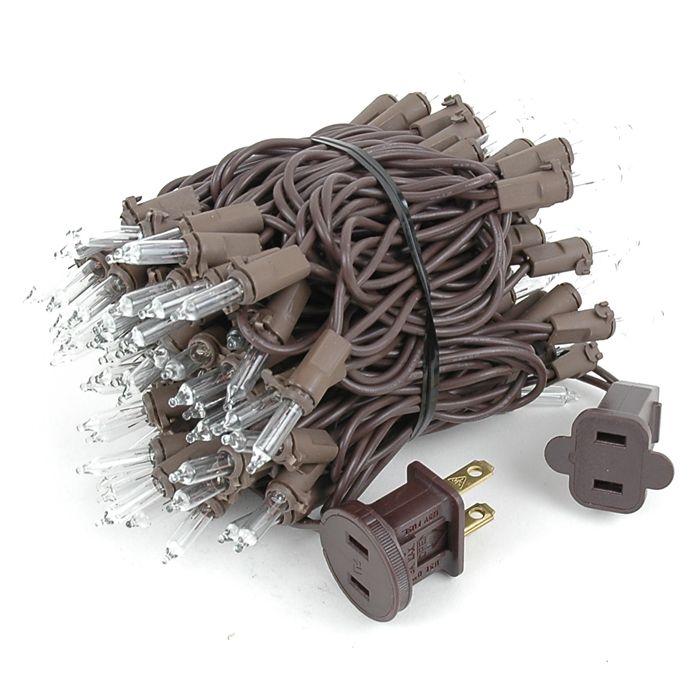 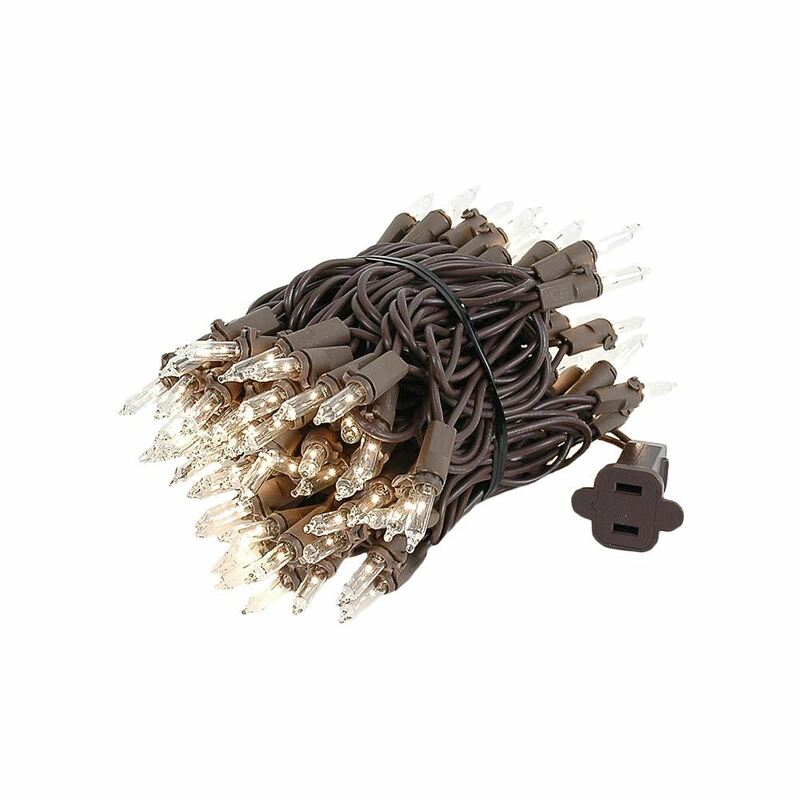 This clear 100-light, 22-foot-long set of mini Christmas lights on brown wire is ideal for densely lit holiday lighting projects because its 2.5 volt, 3000-hour bulbs are spaced every 2.5" (much closer together than the standard 6" spacing), which works great for projects that may need a higher concentration of bulbs on shorter brown wire. 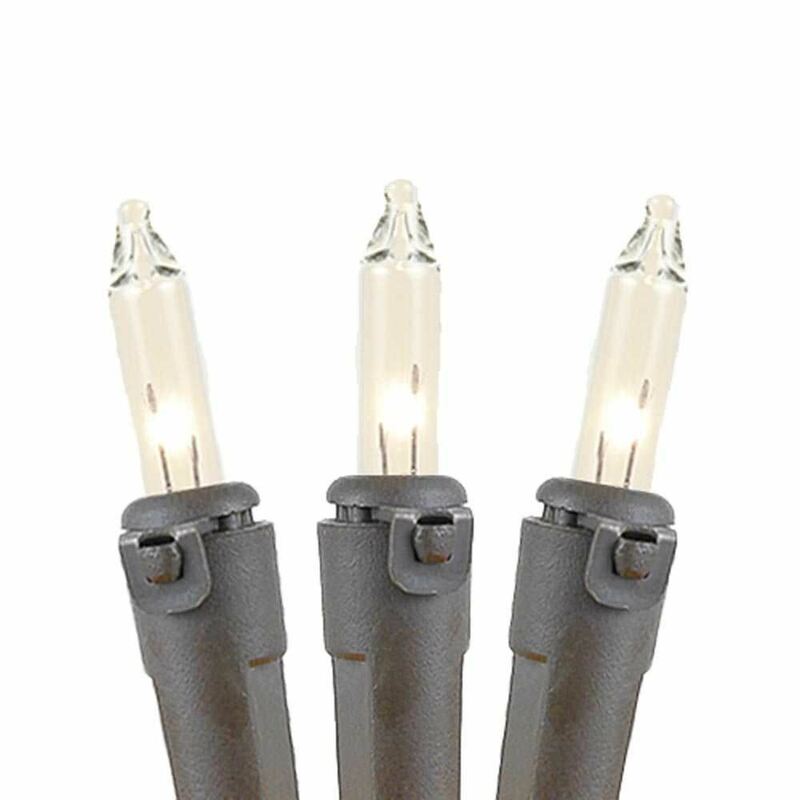 Go ahead -- deck your halls and exterior for Christmas or create a beautiful illumination at your wedding. 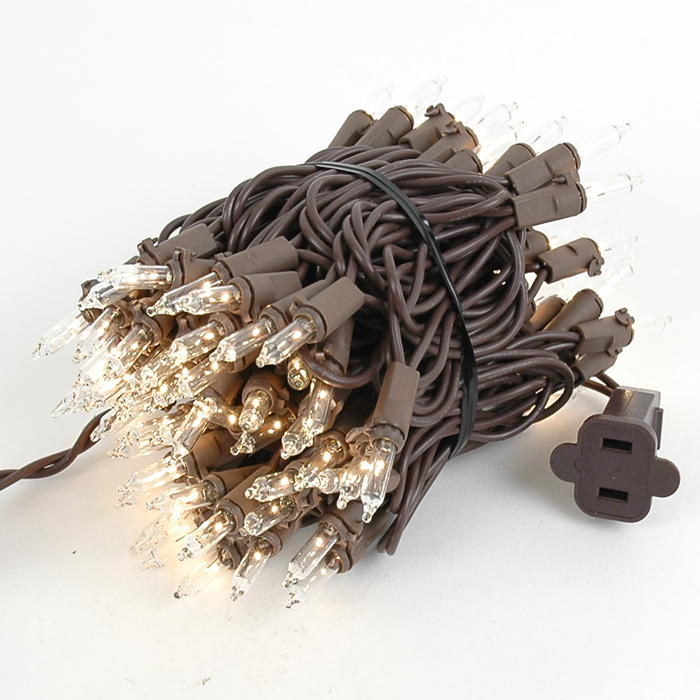 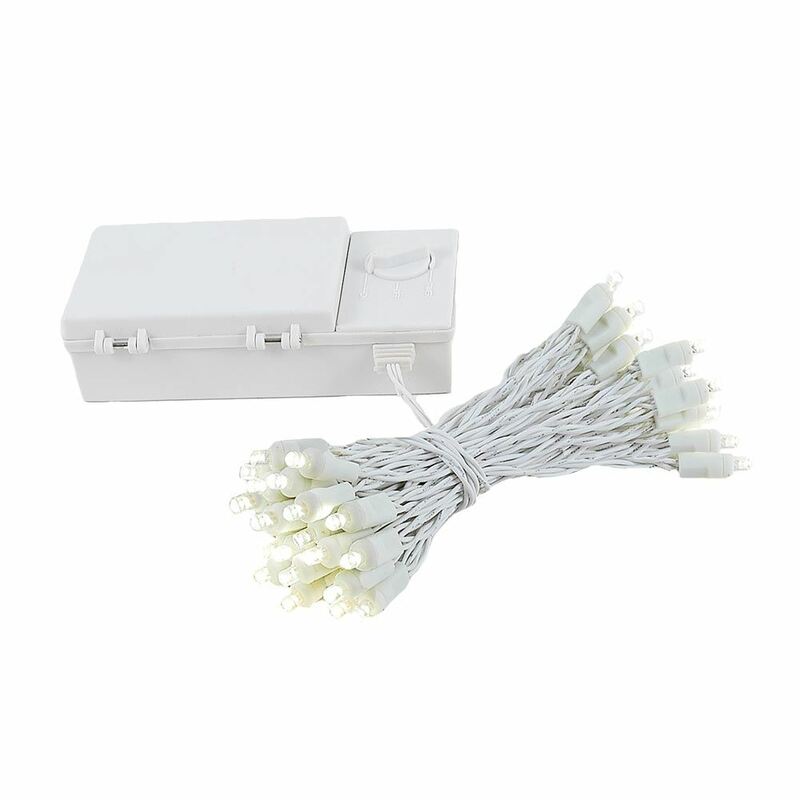 String up to 5 sets together for 110 feet of spectacular lighting. 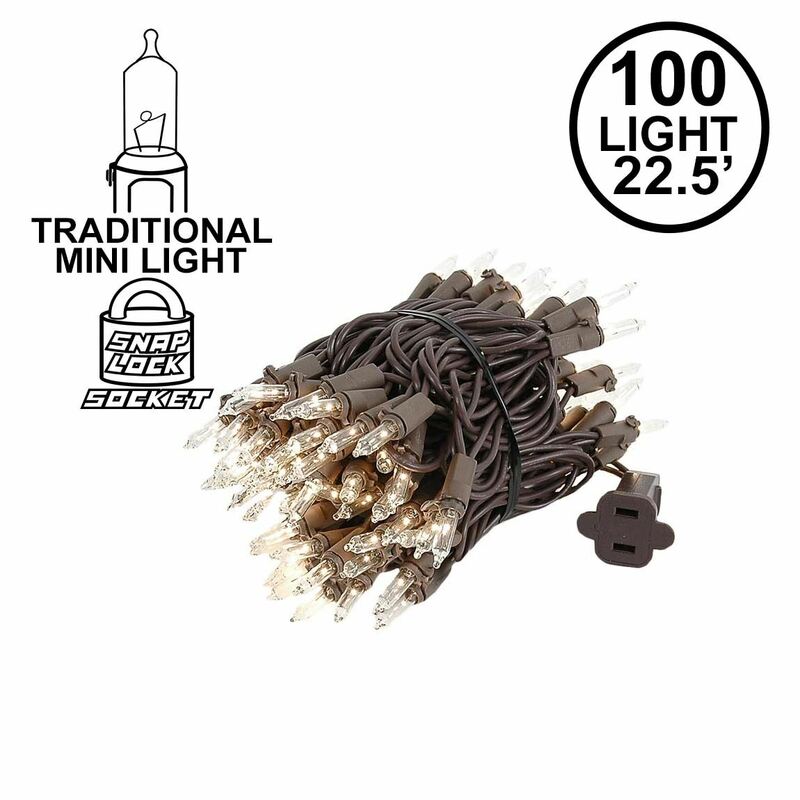 Featuring snap-lock sockets that prevent twisting and pulling of the lamps, these bulbs will remain securely in place to eliminate vandalism and light loss. 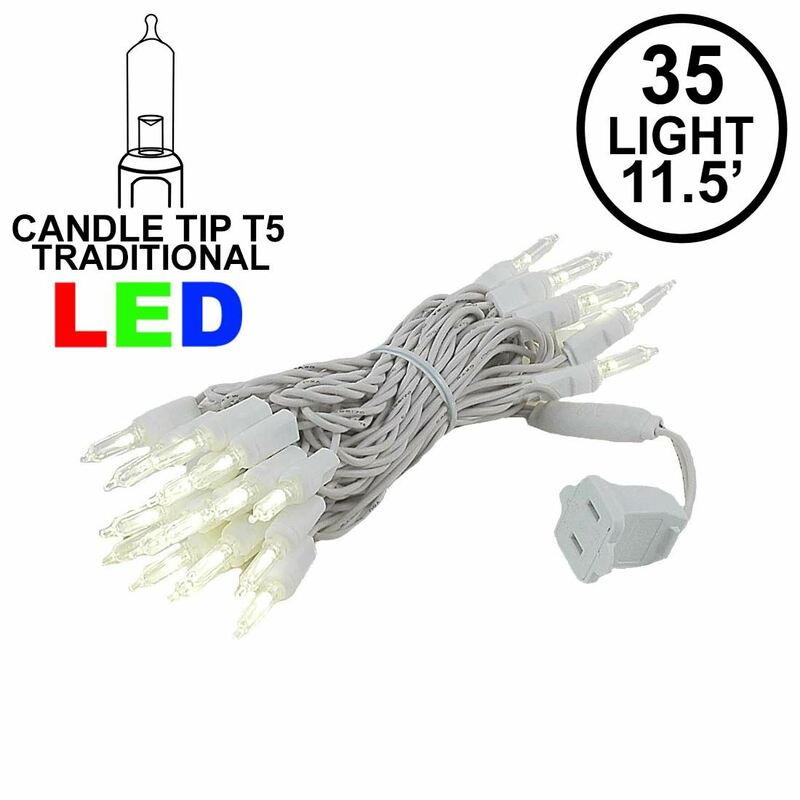 If one bulb goes out the rest stay lit. 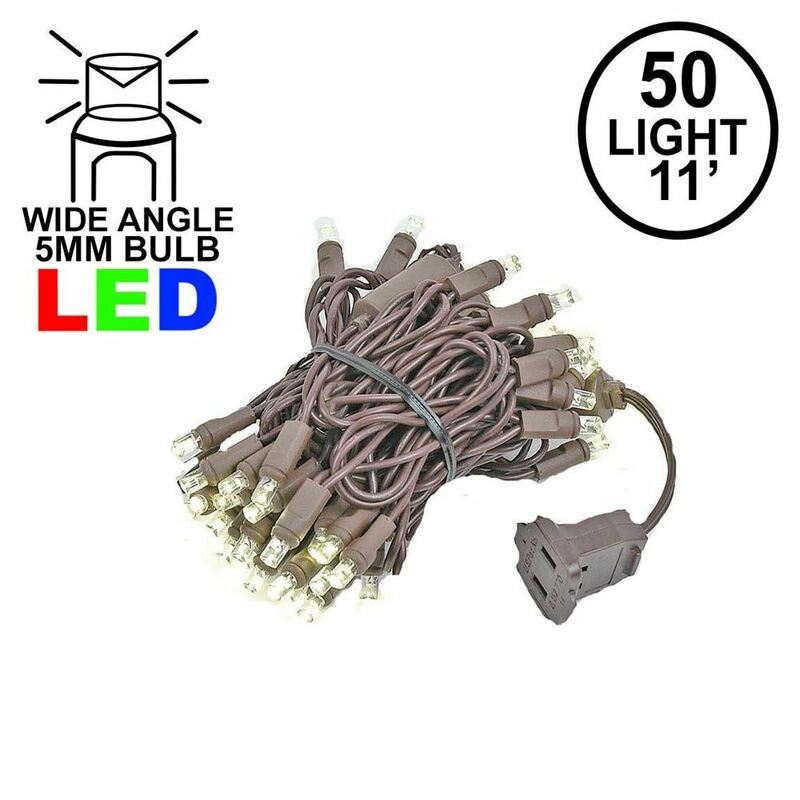 Every set includes 2 replacement bulbs and fuses. 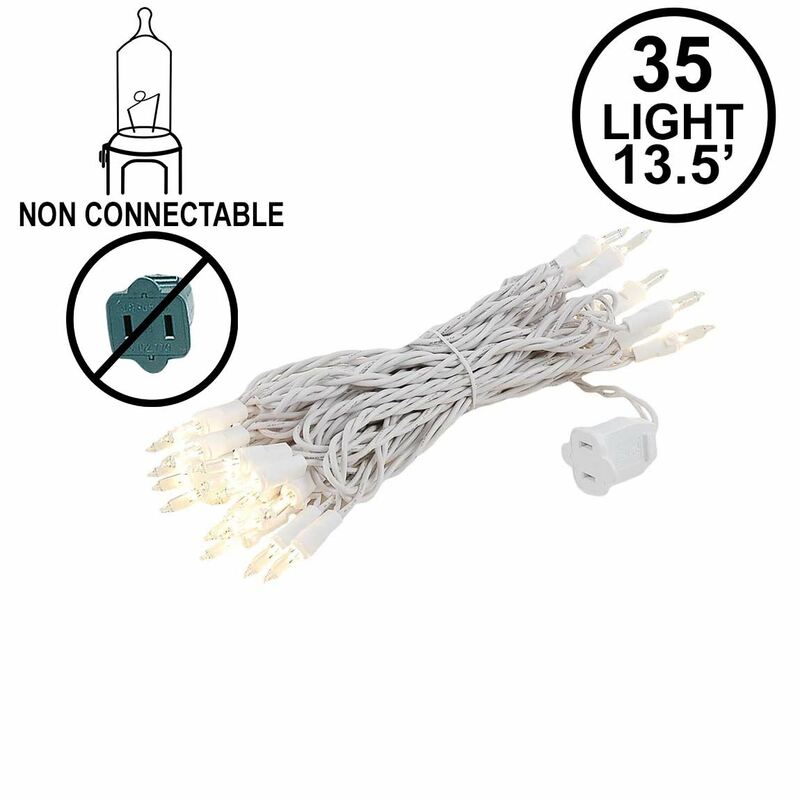 Safe for indoor and outdoor use. 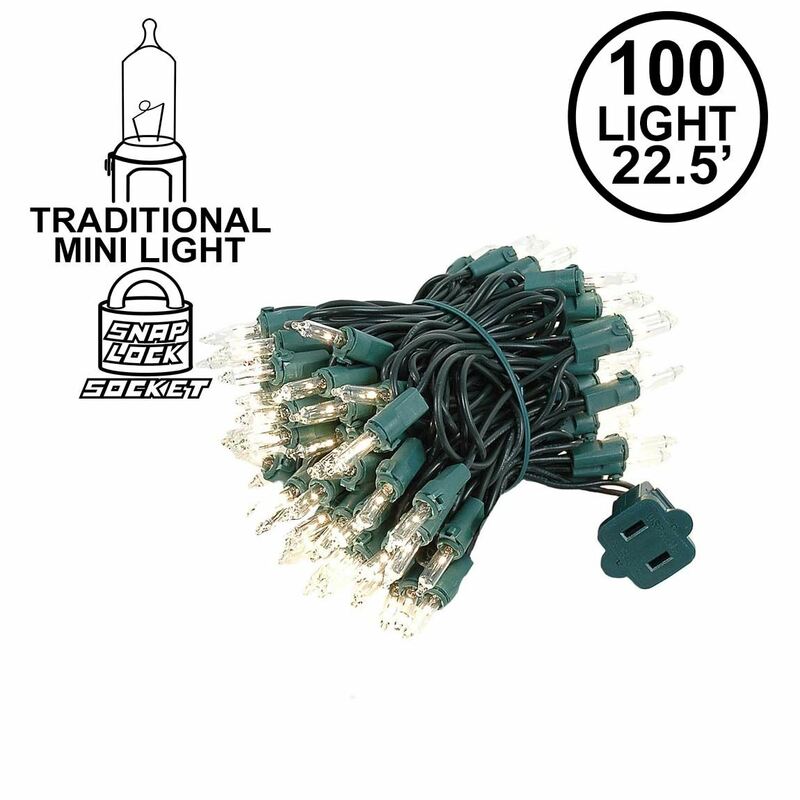 UL Listed for indoor/outdoor use.